April showers bring May flowers… It’s springtime and the cherry blossoms and magnolia trees have burst into a luscious Monet painting. All of these brilliants colors of spring are so breathtaking that they have me craving fresh berries… so much so that I couldn’t resist making this berrymisu for spring and for this months berrylove. Slice the strawberries into 1/2 inch pieces. In a large bowl, add the strawberries, 1/4 cup sugar, 1 teaspoon vanilla and cinnamon, mixing well. Cover and refrigerate, allow strawberries to marinate for one hour. In a bowl, add raspberries, one teaspoon of vanilla and 1 tablespoon of heavy whipping cream, mix gently until completely covered. Cover and refrigerate, allow raspberries to marinate for one hour. In a bowl, add blueberries, 2 tablespoons honey and 1 teaspoon of lemon zest, mix well. Cover and refrigerate, allow blueberries to marinate for one hour. With an electric mixer add the mascarpone cheese, 1 tablespoon vanilla and 1/4 cup of confectioners sugar, beat for 3 minutes. Place in a separate bowl and set aside until ready to use. Using the electric mixer again, in a bowl add 2 cups heavy cream, 1/2 cup confectioners sugar, 1 teaspoon vanilla sugar and beat until soft peaks are reached, about 8 to 10 minutes. Fold the mascarpone whipped cheese into the whipped cream, mixing gently until fully incorporated. Cover and place in refrigerator until ready to use. In a saucepan on low-medium heat, add 1/2 cup honey, 1/4 cup water, 1 tablespoon orange zest and 2 tablespoons of orange juice. Allow to simmer until you reach a boil, turn off heat and let stand for five minutes. Lay the lady fingers on a baking sheet. With a pastry brush apply honey orange syrup covering completely. Turn over and brush the other side with syrup. * Use a cake serving plate as the base for your Berrymisu and the spring form pan as the mold. Line the spring form pan with parchment paper. Begin layering lady fingers on the bottom, followed by the sides of the spring form pan. Next, layer a heaping spoonful, about 3/4 cup of mascarpone whipped filling and spread evenly atop of lady fingers. Place a 1/2 cup of strawberries and spread evenly, repeating with one more layer of each. Add the final layer of mascarpone whipped filling on top, spreading evenly. Place the raspberries in the center, followed by blueberries and then finally adding sliced strawberries. Cover with plastic wrap and refrigerate for one hour. At first I wasn’t sure about the combination of flavors, with the berries, honey, spices, cream and citrus. But after the first bite, then the second, and the third… I knew instantly it was a perfect layering of flavors. I couldn’t think of a better way to celebrate and welcome spring. 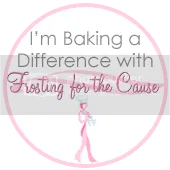 I’m part of bloghop, where the food blog community connects with other blogs to share recipes and spread the love. This month, April is #berrylove month! You’re more than welcome to join us in #berrylove fun by simply adding your recipe at the end of this bloghop! Be sure to link back to this post, so that your readers know to stop by the #berrylove event! The twitter hashtag is #berrylove – have Fun! Brilliant idea, totally love it!! This looks amazing and I bet it is delicious, especially with all those ladyfingers and beautiful fruit. Holy Yum! I love the idea of berrymisu! That it totally my kind of treat! Fabulous idea G! Love it. Oh, this looks magnificent!!! I might even pick this over a traditional tiramisu…mmmmmm. Sending you tons of #berrylove! Your berrymisu is gorgeous! I am having my Bunco group in May, and have been looking for a showstopper dessert, and I think that I have found it. Sending you lots of #berrylove your way! Mascarpone is one of my favorite versatile cheeses for sweet concoctions – this is a beautiful recipe! Love it! What a beautiful presentation! love this variation of tiramisu for spring. supercool idea.. and i love the name ! the berrymisu must taste heavenly! A new follower too! Awesome sweet blog! This looks delicious and beautifully decorated! What a FUN idea! I love it! Much berry love to you! It was excellent!! Love you, Theia!!! How pretty and delicious looking!! I love using mascarpone and lady fingers!! You’ve got a perfect dessert; one I’d definitely make !!! This is so similar to the Lemon Tiramisu I posted last week! LOVE the sound of your version with the fresh berries – YUM!! So perfect for summer!! I, too, loved the look and the sound of this recipe, so I decided to make it for Easter dinner. I would change a few things if I made it again: The original recipe (at eatshowandtell.com) called for balsamic vinegar added to the macerating strawberries,as well as the addition of the resulting strawberry syrup (from macerating the berries) to the cream filling, and that may have made all the difference in the flavor. Also, the ingredients list calls for 3 teaspoons of vanilla, but the directions call for 2 teaspoons of vanilla, and 1 teaspoon of vanilla sugar, which is not listed in the ingredients. I figured it must have been a typo, so I just added the third teaspoon of vanilla called for. It was a pretty dessert, but needed ‘something’. Thank you for letting me know about the missing tablespoon of vanilla, it should have gone into the mascarpone cheese whipping step. You were right in adding it. This is an adaption of the original recipe, so changes were made due to the dietary needs of my guest. This meant switching out the vinegar for a lighter flavor. We loved our version and it disappeared quickly. I encourage you to try Linda’s version at Eat Show & Tell for the next time. I’m sure it’s absolutely incredible, like everything she makes and perhaps more suitable to your palate. Enjoy and Thank you!